I already know that I live in a very special place. I mean, there's a reason why I've lived in San Francisco for more years than I've ever lived somewhere else, and that includes Oregon, the state I consider "home." It's because San Francisco is an incredible, dynamic city full of all of the parts of every other city that people around the world love. And it's weird & uncompromising and in spite of having so much of the country thinking we're a bunch of nutters, the ones who matter don't ever seem to care about all that stuff, and that's how you get something like The Creators Project landing in SF at the beginning of a highly touted, exclusive world tour, last weekend. 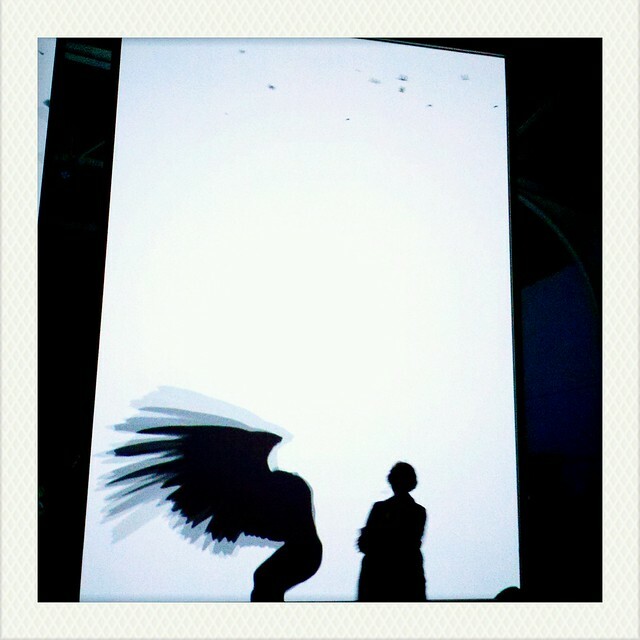 The Creators Project is a beautiful marriage of art, technology & music sponsored by Intel and Vice. A coworker of mine was ruminating earlier today that when technology & art fuse together, magic happens, and I couldn't agree more. Ever since I saw an incredible art/technology exhibit at the SF Museum of Modern Art in 2001 (still not sure how I got into that exclusive event at age 18), I have been enamored with mixed media, computer-based yet somehow completely mystically creative art. My in, this time at least, was through music. The Saturday version of the traveling show featured a full slate of bands, and as a concert photographer & music journalist this was right up my alley. After a week of intense effort, I ended up effortlessly obtaining a press pass...from the friendliest, most accommodating group of promoters I've ever encountered. So excited, I was. & this even did not disappoint. Fantastic art, great music & the kindest, most wonderful staff I've ever encountered at an event. Also? Guests who weren't douchebags! I guess going to so many shows and huge music festivals over the years has set the bar pretty low for me in terms of behavior and treatment (here's to you, Coachella & The Warfield! ), but this was so superior, my head almost imploded. Not only was every problem treated with an easy solution and kind words, but the press room (and there actually was a room!) was stocked with free booze and outlets for phone charging and comfy chairs. Yeah, I was actually probably just taking a visit to media heaven, right? Right. Anyway. It was amazing and the story can only really be told in photographs. Which I am still editing. But it was such an inspiring day, full of great people and art and music and technology, and it basically bridged the gap between all the available areas of my life, which is pretty awesome.